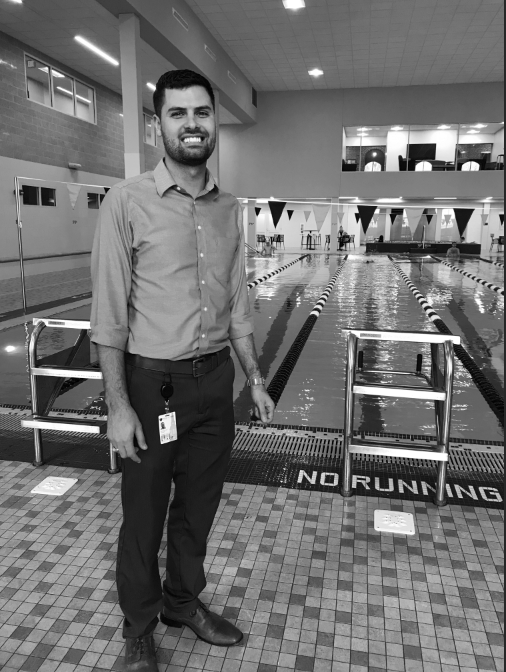 When the new pool opened in the Reynolds Gymnasium in late March, Matthew Dantism joined the Campus Recreation staff to direct and schedule use of the pool and aquatics classes and activities. In the days since the opening of the pool, Dantism said that it has already had high traffic. He added that he plans to build on this momentum by offering varied aquatics programming for swimmers at all levels as well as lifeguarding and other safety courses. Besides the brand-new pool, what drew you to Wake Forest? I was born and bred in North Carolina. I’m from Concord, NC right down the road. I’ve lived away from North Carolina since 2011 after I finished my undergraduate so I saw this as an opportunity to continue what I love doing back in my home state and be able to operate in a beautiful new facility, specifically the new pool. What was your previous occupation? My previous work before here was at LSU. I was the aquatics coordinator there, and previous to that, I was in graduate school at Texas A&M. I was their graduate assistant of aquatics in their version of Campus Recreation. Previous to that, I was in the Peace Corps. I lived and worked in Cambodia for two years as a community health educator. What importance have aquatics and swimming had in your life? Were you a swimmer growing up? It’s always interesting. People kind of assume that I was a swimmer growing up; I wasn’t a competitive swimmer growing up. I grew up around water; my parents had a place at the beach and I definitely swam but I never had formal swim lessons. My brother and sister, who were older than me, swam and if I wanted to swim I kind of had to learn and teach myself to move forward so that I could enjoy the water space. I got into aquatics when I was an undergraduate at UNC Charlotte (UNCC). I took lifeguarding there, I took a scuba class there, I took water safety instruction — that’s kind of what got me into aquatics and working in aquatics professionally. What are your first impressions of the Wake Forest campus and community? Physically, the campus is very beautiful. I come from very large universities — Texas A&M, UNCC and LSU — student population-wise and geographically, as their campuses take up acres. Coming to a smaller university I kind of didn’t know what to expect but when I got here it was beautiful. Also, the buildings are all a cohesive look and the campus is very walkable, so there was that. What kinds of programs and activities are you most excited to start with the new pool? I tell people first and foremost that we have our lifeguard program up and running, so we have the people to run and manage the facility on a daily basis. The next program that has historically been offered is the Masters swim program, so they’ll be swimming most mornings and we’re looking at having additional offerings for the Masters swim program possibly around noon several times a week. We already have some of our instructional programs up and running, so teaching members of the community, students, staff and faculty lifeguarding courses and other instructional programming like CPR, first aid and automated external defibrillator (AED) courses. Coming this summer, we’ll be offering swim lessons, and we’ll be offering those year-round. People might think that’s just for children, but there’s adult learn-to-swim too. People generally think on a college campus, “Oh, everyone’s an adult, people know how to swim,” but that’s not the case. Usually there’s a large population of students that have never had access to something like this, but when they get on a college campus and have a beautiful facility like this, they want to have access. Part of that is being able to teach them. I think people will be very excited that we will be having a scuba program. It’s been a very small offering that we’ve had in the past, most recently right before the pool closed, but we’re hoping to expand the scuba offerings to students every semester and over the summer. In general, we have partnerships internally within Campus Recreation. For example, Canoe Battleship is happening in the pool. Intramural inner tube water polo is another sport they’ll offer and we’re looking to have a club swim meet and intramural swim events. Outdoor Pursuits is already coming over and doing kayak roll sessions and stand-up paddleboarding in the pool. We’re just opening and we have all these things in the works and others that will be coming down the pipeline. One, I think first and foremost, is getting the facility up and running smoothly on a daily basis. We went from nothing — you know, the pool shut down for about a year and half — so there are normal challenges having everything running. People usually see a beautiful pool but don’t know all of the mechanical things that go on behind the scenes. Historically things have been offered or policies have been one way and changing some of those policies to align with other policies that exist now in the facility is another challenge. How are a good pool and aquatics program important for a college student’s overall wellbeing? Wake Forest puts a big emphasis on on wellbeing — that became very apparent when I got here. I see aquatics as a life skill that people can learn. It is a classic way of exercise and it is also a leisure activity that people can do as well. There are other things built into the pool — there’s volleyball, there’s basketball and people can come down and say, “Hey, let’s meet in the hot tub.” People can learn lifetime life-saving skills in this facility, having access to some of these things such as lifeguarding, first aid and AED classes. How do you plan to include the Winston-Salem community in the new pool and aquatics programming? One of the big things is that a lot of the programs we offer within Campus Recreation aren’t really open to the Winston-Salem community. But swim lessons or instructional programs — anybody can come take a lifeguarding or AED certification course and programs such as scuba will all be offered to anyone. Anyone can come and see what Wake Forest is all about and that could be a springboard for them in some ways. If you’re coming in and you’re doing this instructional program, you could see some other part of Wake Forest that you may be able to plug in with and get involved. I see it as a way to bring the greater community to engage in some of these activities and possibly engage in other aspects of Wake Forest. How do you plan to draw in students and faculty who don’t typically swim or like swimming? I think some of the programming that we’re doing lends itself towards that. You don’t have to know how to swim to participate in Canoe Battleship or inner tube water polo like I mentioned. Yes, we have the pool and most people typically think of lap swimming, but people can come in and use the whirlpool just as a relaxation kind of thing. I’m hoping that in the future we can offer dive-in movies here. It’s a big thing on college campuses all over the country to have a projection screen in a facility space and let people use tubes or just lounge in the pool while a movie is playing, and we could do this once a quarter or something like that. People might think, “Oh, it’s just a pool,” but no, there are actually a lot of different things you can do with it. Those are some of the exciting, new bits of ideas that I’m trying to bring into the space. 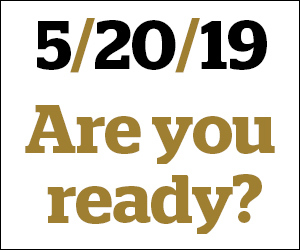 What do you anticipate accomplishing in your first 100 days, through the end of the semester and into the summer? Within the first 100 days one of the first things has been getting our staff. We went from zero lifeguards and we’re already up to 22 working in the facility, so that’s here for spring semester. Going into the end of spring semester and summer, we’ll be getting the swim lesson program up and running. We’ll be having a sports camp offered here through Campus Recreation that will be using our space, so we’ll be ramping up for that. We’ll be working on having a smooth transition from the spring semester to the summer. A lot of Wake Forest students are transient — they don’t live in North Carolina — but our need for lifeguards doesn’t decrease and we’ll need to have a smooth transition staffing-wise. In the long-term, we want to run successful programs. We don’t want to run a program just to say that we have a program on offer, but to truly engage people to come and take part in the programs that we’re offering.